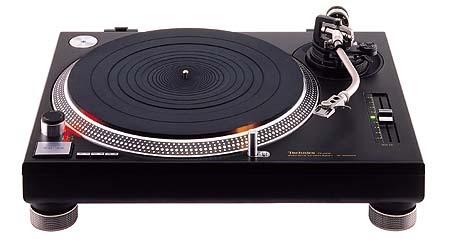 of them disappeared, and "SL-1200" is the only mass produced series still alive. The reason it is a long seller is that its direct drive motor is steady enough to keep up with scratch play commonly seen in discotheques. And also, in its beautiful form is built in pitch control system of easy use. This made the series shine as No.1 pop star in the disco scene. Due to these two functions, even after other analogue players disappeared, it kept its position, becoming a series produced the most in the world in total. It must be unbelievable for those who know its debut in the past the popularity it is attaining now; it is "the hero of analogue music."